WILLEMSTAD - The Joint Court of Justice gave a press conference on Wednesday morning to present the annual report. The title of the annual report is Resilience. The Board of the Court, which was largely renewed in 2017, has in that year, according to its own say, worked on a resilient organization. Emphasis has been placed on professionalization and quality through the further development of employees, systems, structures and leadership. The damage that hurricane Irma caused on the Windward Islands also required resilience, so the ability to deal with challenges, changes and unexpected setbacks. 44,067 cases were handled in 2017, an increase of 17 percent compared to 2016. According to the Court, the increase can be explained by the increased influx of criminal cases. From the annual report it became clear that there is a shortfall on the result of the Court of 1.5 million guilders. This is mainly caused by unused days of leave. Furthermore, it appears that the number of appeals has decreased and the number of cases dealt with has increased. 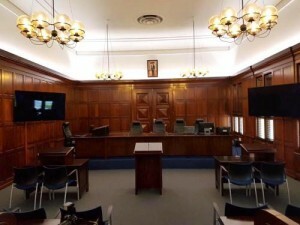 The Court is correct when it comes to the conclusion that the person seeking justice apparently sees no reason to go to appeal on the basis of a decision or, in other words, the Court does its job well.